Add some vintage, botanical styling to your home decor with this pretty set of coasters. Beautifully decorated with images of fern and foliage, perfect for the living room. Inspired by all things nature, these coasters will make a great little gift for the new home owner or the green fingered gardener. 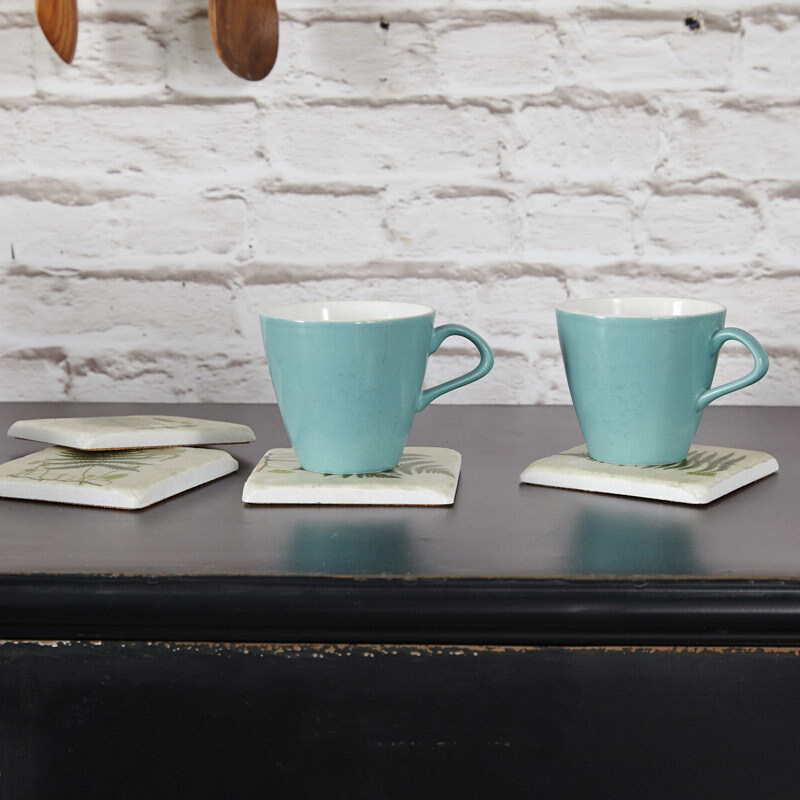 Protect your surfaces from hot tea, coffee and any spills. These are so pretty that you will want to display them on your coffee table. 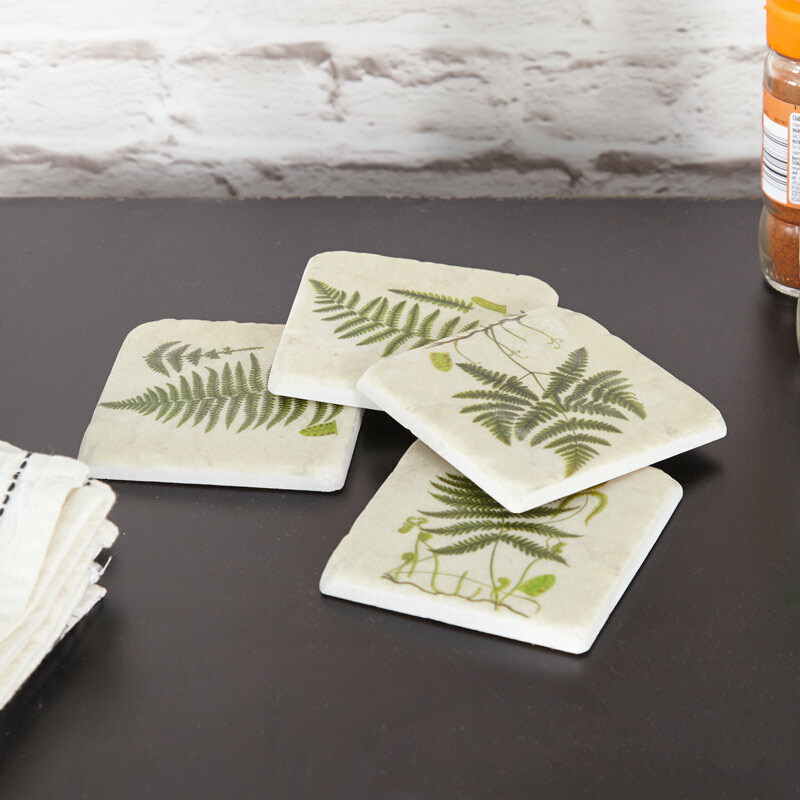 Add some vintage, botanical styling to your home decor with this pretty set of coasters. Beautifully decorated with images of fern and foliage, perfect for the living room. Inspired by all things nature, these coasters will make a great little gift for the new home owner or the green fingered gardener. Protect your surfaces from hot tea, coffee and any spills. These are so pretty that you will want to display them on your coffee table. Made from ceramic material with printed pictures, each coaster comes with a corked back for protecting surfaces. A great addition to our fantastic range of gifts and home accessories. Ensure that you're never stuck for ideas when looking for that perfect gift.